Art and I went to Big Bear a few days ago. It was nice to be out in the snow, playing, sleighing, dodging snowballs :) We had a lot of fun with the family. Check back tomorrow for an e-session post! 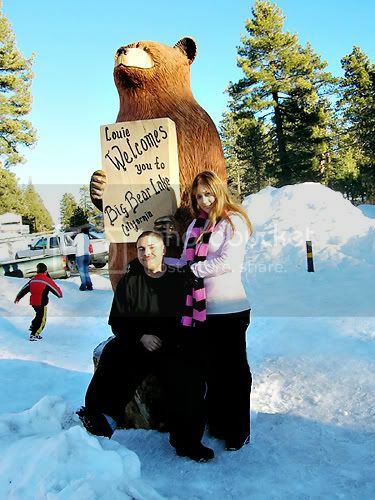 Awe, I love Big Bear! Cute picture of the two of you! You look great together! i like your scarf. you look cute, when I go to the snow I look like mess. I pile on the clothes even if they mismatch. You make going to the snow look like it's not freezing cold! We defenetly need to see more of Art & you toghter Like this! !